Good budget headphones are hard to come by but the Plantronics BackBeat 500 FIT are a great value. The P2i water-repellent coating can handle a literal downpour, and their small footprint makes it easy to forget that you're wearing them. If you pride yourself on visiting Sound Guys often, you may recall our review of the Plantronics BackBeat 500. The Plantronics BackBeat 500 FIT are essentially the same pair of headphones—but approach sound from an athlete’s perspective, rather than that of a lay-person. So what’s new? The BackBeat 500 FIT include a P2i-rated sweat-repellent nano-coating and… that might be it. Is the P2i veneer worth foregoing a week’s-worth of skinny peppermint mocha’s at everyone’s favorite “love to hate it” coffee shop? Well, only one way to find out! Push those reading glasses up, and let’s get into the thick of it. Athletes: The P2i coating and lightweight, plastic housing make these a great on-ear option for working out. Though the clamping force is felt after the 45-minute mark, it’s effective for running and ensures a secure fit while moving about. 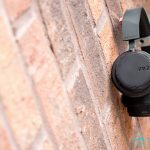 Commuters: If you live in an area with unpredictable weather patterns, the Plantronics BackBeat 500 FIT are equipped with a water-repellent coating that wicks away moisture, protecting your headphones from April showers. The Plantronics BackBeat 500 FIT look identical to the BackBeat 500 but feature a P2i water-repellent nano-coating. It’s hard to make packaging more sparse than that of the BackBeat 500 FIT, but Plantronics includes the essentials: a 3.5mm cable (yes, this is still essential), a micro-USB charging cable, and the headphones themselves. It’s odd that Plantronics doesn’t provide an armband like they do with the BackBeat FIT—the earbud iteration. A goodie like this would have been appreciated, especially given how annoying it is to hold a phone with palms that are sweatier than a well-saunaed upper lip. If you judge the quality of a product based on how premium it feels: 1) congrats on having standards, and 2) workout headphones may not be for you. Like their twin, the BackBeat 500 FIT are supported by anodized aluminum rails that buttress the headband. Also like their twin, the BackBeat 500 FIT feel cheap in the hand and look cheap on the shelf. Fortunately, functionality makes up for appearances: that P2i nano-coating works wonders. I managed to drench the BackBeat 500 FIT in a downpour; yet, even after water seeped into the ear cup interior, they continue to work flawlessly. Aside from being durable, the controls are practical as well. The raised buttons on the rubberized panel are spaced far enough apart that using them is easy—absolutely crucial for running. The P2i nano-coating works wonders. 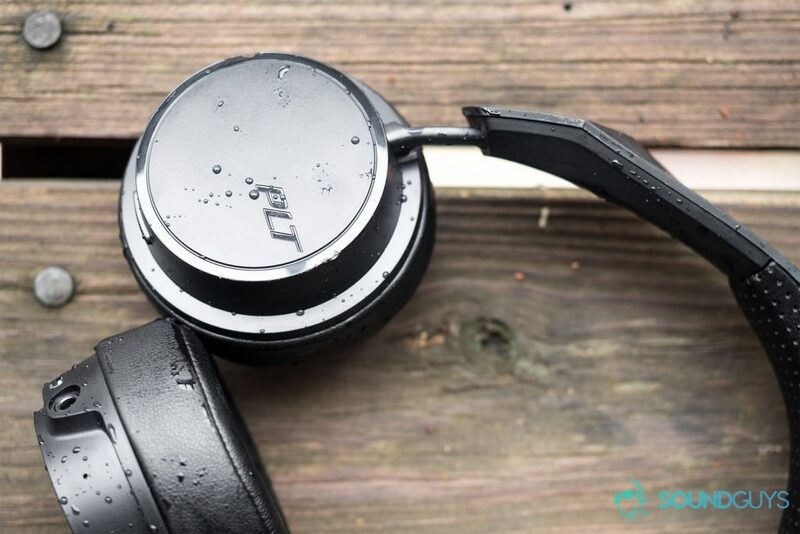 The BackBeat 500 FIT were drenched during a downpour... and they continue to work without issue. Concerned about comfort? Unfortunately, I can’t assuage many anxieties here. Initially, they’re exceptionally comfortable because they’re so lightweight. However, entering the 30-45 minute-territory you’ll be reminded that these are supra aural (on-ear) headphones. Wearing glasses is definitely a little less than ideal with the BackBeat 500 FIT. On the left ear cup, users will be able to charge the Plantronics BackBeat 500 FIT via micro-USB. The 3.5mm headphone jack (optional) is also located here. Poor connectivity is the bane of our inexpensive wireless headphones, but this is where Plantronics consistently gets things right. Which is to be expected from a company that attributes its success to their lines of business communications products. The BackBeat 500 FIT pairs quickly and reconnects immediately. Switching back and forth is simple with the multi-function button on the bottom of the right ear cup. Connection is hardly ever interrupted, so long as you’re within the 10-meter Bluetooth range. The only other Bluetooth headphones that provide a similar experience are the Plantronics BackBeat 500. Not even the $449 Beyerdynamic Aventho Wireless can compete with Plantronics when it comes to reliable connectivity. That said, there is an audio-visual lag that makes watching videos aggravating at best. But again, totally normal at this price point if you’re not using a codec like aptX Low Latency or AAC. The memory foam-padded headband is lightweight but does a poor job alleviating pressure from the ears. Plantronics claims that the BackBeat 500 FIT can play your tunes for 18 hours before requiring a recharge. Like the original BackBeat 500, this holds true. That’s right: assuming that the average person works out five times a week for an hour a day (5 hours a week), the BackBeat 500 FIT can musically support more than a half-month of workouts. Though these were released prior to the availability of USB-C charging, it would have been nice to see that feature here. However, many users—myself included—will forgive the dated technology given its affordability. Hopefully Plantronics includes USB-C in their next generation of Bluetooth headphones, but in the meantime, ti could breathe new life into old phone chargers. The rubberized controls are easy to understand and navigate. While running, pressing the buttons is a thoughtless action. Crack open the ear cups and you’ll be met with 40mm drivers. Given how cheap the headphones appear, these drivers reproduce sound rather well. Granted, it doesn’t sound like Plantronics altered the sound at all from the BackBeat 500. A shame, since these would benefit from a boost in low end, considering that they’re workout-oriented. Most of us don’t sweat more than a winter rainstorm precipitates, but it’s good to know that the BackBeat 500 FIT can take the water. Caravan Palace’s Lone Digger holds a special place in the hearts of electro swing fans like myself. Don’t let the key of Fm fool you; with a tempo of 124 bpm, this song is energizing. For casual listening, the low end reproduction is more than enough; however, for a pair of workout headphones, it’s lacking oomph. Pounding feet against the pavement is going to drown out the low end. Specifically, the pounding reduces the perception of sound emitted from the headphones, thereby masking it. The brain is a quirky thing. Greater bass emphasis would help with tracking songs and provide a more typical, hyped workout sound. The mids are a tad under emphasized. In Rubidoux by Cold War Kids, lead vocalist Nathan Willett is hard to hear over the crowded reproduction of the instrumental din. Like their predecessor, the BackBeat 500 FIT don’t do well with instrumental separation. A third of the way into Rubidoux, 2:47, a brief guitar solo picks up and is followed by Willett’s vocals. As they overlap for a few moments, Willett’s voice is lost to the roar of the guitar. Safe to say, the highs don’t suffer from any kind of clipping in the Punch Brothers’ Sometimes. The mandolin is a prominent throughout the song. Regardless of how the five-man band interacts, the treble is always audible. At 3:18, deliberate picking fills a short silence, which is normally difficult to hear. However, you’d need a somewhat higher-end set of headphones like the Audio-Technica ATH-M40X to hear an improvement. Audio-Technica reproduces a flatter overall response at the benefit of the treble. 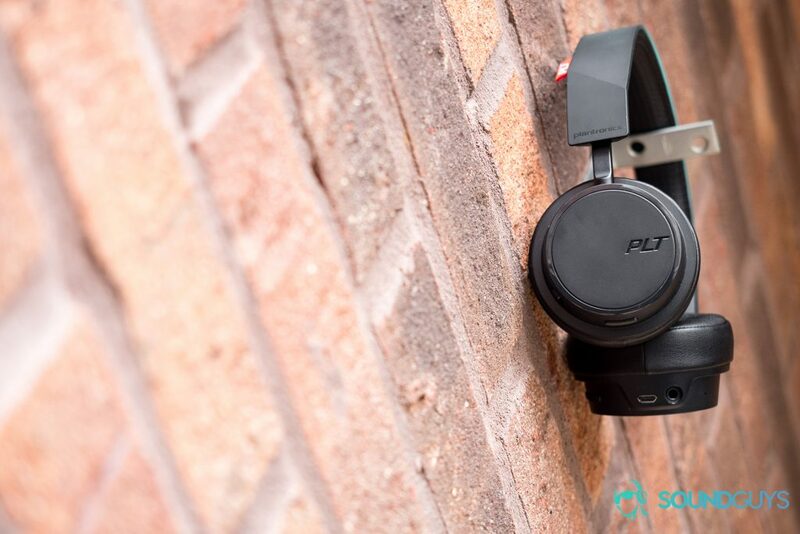 The Plantronics BackBeat 500 FIT are a great value for on-ear workout headphones and connect quickly to your device. Like their oft-referenced brother, the BackBeat 500, the BackBeat 500 FIT aren’t without their flaws. Namely, the discomfort is hard to push past the 45-minute mark. That said, for the athlete looking for a pair of on-ear Bluetooth headphones: you can’t get a better value than the water-repellent Plantronics BackBeat 500 FIT. Its ample battery life and easy controls are ideal for working out, and I’m still impressed by their ability to fully function after being subjected to a true Midwest deluge.